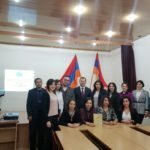 If you have a scientific work about Artsakh and would like it to be posted on this site, please send it to artsakhlib@gmail.com. 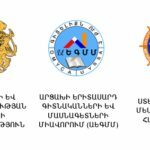 And if you are looking for any material about Artsakh, but haven’t yet found, write to us at the same address and we will try to help you. Religion: Christianity, around 95 percent of the population are followers of the Armenian Apostolic Church. Ethnic Composition: Armenians (95%), Russians, Ukrainians, Greeks, Georgians, Azerbaijanis and others. Territory: The territory of the Artsakh Republic is more than 12 thousand km2 out of which 1041 km2are under the occupation of Azerbaijan. /The territory of the Shahoumyan region /together with the Getashen sub-region/ is 2527 km2, 698 km2of which are under the occupation of Azerbaijan/. Border countries: Armenia (from the West), Azerbaijan (from the North and East), Iran (from the South). Climate: mostly mild and temperate, in some parts subtropical. 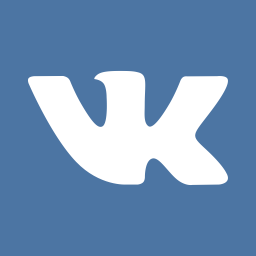 The largest rivers: Araks, Vorotan, Akera, Tartar, Khachen. pumice, clay, different kind of metals, especially zinc, copper stone, lead, lithographic stone, coal, pyrites, iron, and other metals, water resources. Sorry, this entry is only available in Armenian and Russian. Sorry, this entry is only available in Armenian. 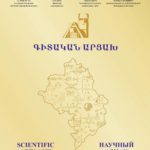 The «Scientific Artsakh» journal of the «Union of Young Scientists and Specialists of Artsakh (UYSSA)» NGO is included in the list of «Scientific publications acceptable for the publication of the main results and provisions of theses» approved by the RA HAC. 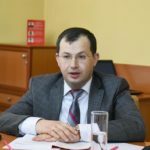 The journal, founded by Yerevan State University, is published twice a year. All rights are reserved. In case of full or partial use of the web-site materials or the citation the reference to www.artsakhlib.am is compulsory.